Ready for a look ahead to the next all-new episode of The Mentalist? Photo gallery style?!? With a gang of armored car thieves on the loose, the FBI will be hot on the trail of these criminals. But when the robberies turn deadly and the case runs cold, leave it to Patrick Jane to come with an unorthodox plan to try and stop them. Will Jane's extreme measures save innocent lives? Will Abbott let him go through with it? Will Jane let Lisbon in on his plans? And will Wiley ever tell Vega how he feels about her? 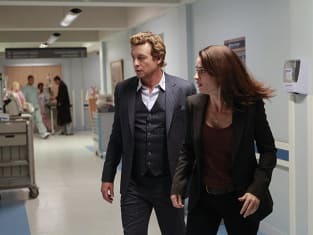 Check out these photos from The Mentalist Season 7 Episode 9, "Nothing Gold Can Stay" which is scheduled to air Wednesday, January 28 on CBS. 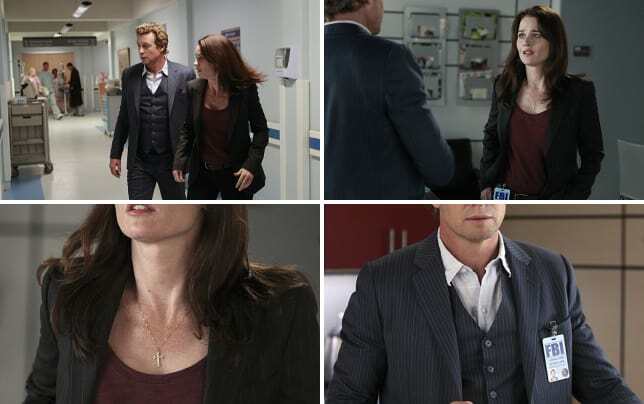 The Mentalist Photos "Nothing Gold Can Stay"
NOTE: Do you need to catch up on this CBS drama? You can always watch The Mentalist online via TV Fanatic. Luck is the planning you don’t see. Permalink: Luck is the planning you don’t see. Cho: No. Not really. Not yet. Permalink: No. Not really. Not yet. The Mentalist Season 7 Episode 10: Full Episode Live!